Win her heart with this adorable charm from Aaron Basha's Charms collection. 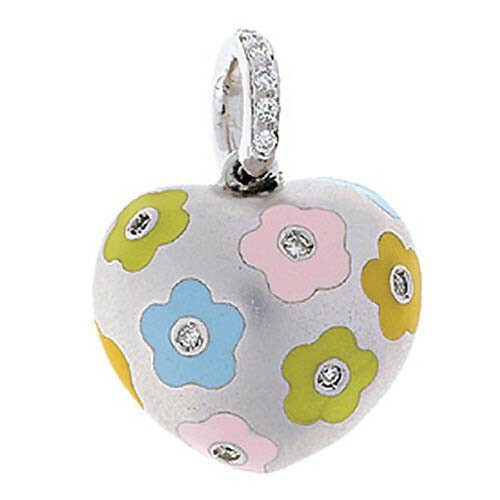 Crafted in 18kt white gold, soft pastel enamel flowers of pink, green, blue, and orange decorate the white enamel backdrop of this whimsical puffed heart. Striking diamonds dot the flower centers and line the bail giving this lovely piece some pizzazz. She'll love the look of this Aaron Basha heart on her charm bracelet or necklace, and it will undoubtedly remind her of you!